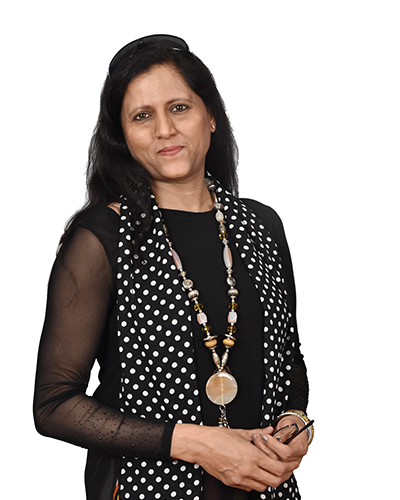 Minoo Joshi is one of the founder teachers of Mahatma Gandhi International School (MGIS), she has been involved with the school since its inception in 1998. She is currently the International Baccalaureate Middle Years Program Coordinator (IBMYP) at MGIS. Her forte is innovation in teaching methodology. She has conducted training across diverse sections of education including Government officials, policy makers, and teachers at the grass root level. She has also been involved in creating prescribed textbooks for English medium schools from Grade 1 to 4 for the State Government of Gujarat. Apart from this, Minoo is a Workshop Leader, School Visiting Team Member for Evaluation and Consultant for authorization for the Asia Pacific Region with the International Baccalaureate Organization (IBO). 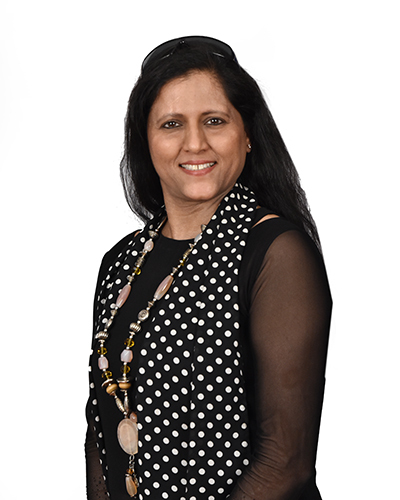 She has conducted trainings for educators across the globe in Singapore, New Zealand, Australia, Philippines, UK and India. She is a part of the teacher trainings partnering with UK India Education and Research Initiative (UKEIRI). She has been actively involved in developing the curriculum, planning, implementing, integrating, moderating and training the MGIS team for the successful implementation of the IB Program in Middle School. She facilitates her students by teaching the skills and processes required to learn Integrated Sciences and Inter disciplinary units covering various subjects to different grades from K-10. She is passionate about making her classes and projects interesting, relevant and practical for her students, often drawing inspiration from their everyday lives, their passions and their strengths. Each project is designed with a view to imparting not just subject knowledge, but also inculcating valuable life skills through process oriented outcomes that students can apply in their lives. Minoo is strongly motivated to give back to society and she has been instrumental in designing and implementing international exchange programs. She coordinates exchanges between local NGOs, schools and International Baccalaureate schools across the globe as part of the Educational and Cultural Exchange programs with a school in Adelaide, Australia and Lycee’s International School in Paris to facilitate Intercultural Awareness and meaningful Community and Service projects. These are facilitated by having Exchange programs since the last eight years that help Under Privileged students at MGIS. This is her unique contribution in developing global citizens for the future. Her participation in the program “Teaching For Understanding“ by Harvard University enforces her belief in the innovation techniques and strategies of teaching that she envisions and implements in her day to day teaching. She strives for innovation in education and has been awarded three times consecutively. Star Project: ‘The Mosaic of Life Project’, starting with an exploration of themselves through self portraits, students then explore their unique genetic make up through comprehensive, in depth, research based reports, experiments etc.